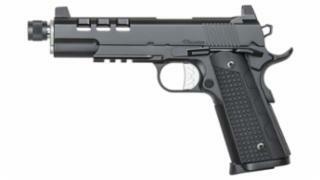 CZ DAN WESSON DISCRETION 45 ACP 5.75" LENGTH BARREL, 8 ROUND SEMI AUTOMATIC. THREADED BARREL WHICH IS SUPPRESSOR READY. 2 MAGS INCLUDED, HARD CASE. One of the most interesting things in our day, are the used guns that come across the counter. We have many vintage pieces in stock --we also have rifles, shotguns, and pistols available--new and used. Stop by and say Hello and see what's in our cases today.